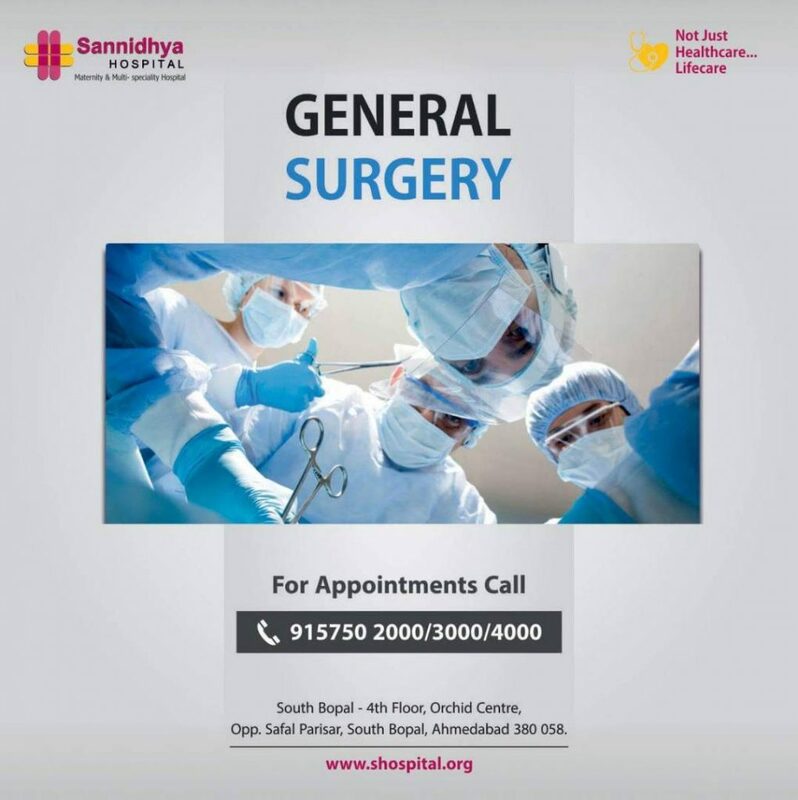 Our surgical department have senior Consultant Surgeon who routinely perform Laparoscopic surgery for Hernia, Gall Bladder, Appendix, Intestinal obstruction Varicocele, trauma surgery and all other major general surgery at Sannidhya Multi Speciality Hospital in Satellite, Bodakdev, Paldi, Bopal, Shilaj and Ahmedabad and all over Gujarat. Patients who choose to use our facilities can trust our consultant doctors for the best possible care. At Sannidhya MULTI Speciality Hospital patients can feel confident that skilled and sincere professionals are caring for them.